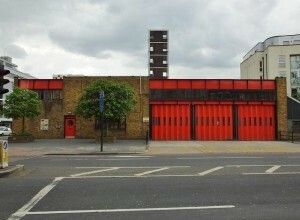 London's fire service closures took place at 9.30am today. Belsize, Bow, Clerkenwell, Downham, Kingsland, Knightsbridge, Silvertown, Southwark, Westminster and Woolwich fire stations are now closed; Chingford, Hayes, Leyton, Leystonstone, Peckham and Whitechapel stations are reduced from two fire engines to one; East Greenwich, Hendon, Orpington, Stanmore and Twickenham stations gain an engine. Two Fire Rescue Units have been lost and more than 550 firefighters no longer have a job. The closures are a response to a reduction in the fire service's budget, set by the Mayor last year. There was a lengthy battle in the London Fire and Emergency Planning Authority and courts to try and overturn the plans, all of which were rejected by Boris Johnson and the High Court. Opponents said that the 7p a week council tax cut we're enjoying this year would have paid for the cuts, saving £28.8m over two years. Boris rejected these claims. Fire Commissioner Ron Dobson says Londoners are just as safe under this new configuration, and highlights that crews attend far fewer fires these days than just 10 years ago. But even before the changes, 267 of London’s 624 wards were outside the target response time anyway. 'Safe' is relative. There were protests outside Clerkenwell, Belsize, Kingsland, Southwark, Bow, Downham and Woolwich stations this morning and some emotional goodbye messages from stations – particularly Clerkenwell, which has been running for 140 years.